Jac. Geesink started building wagons in1875 in Weesp the Netherlands. At the turn of the century the company started to manufacture ladders for the fire service. 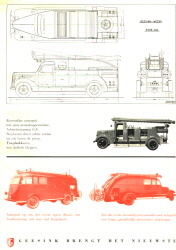 Shortly after the first world war the first manual operated aerial ladder trucks were delivered. 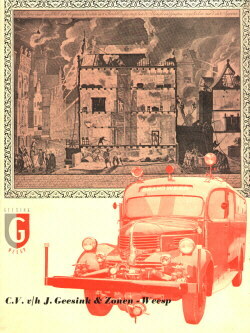 In 1923 production of other fire trucks like pumpers was started. 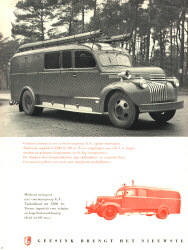 In 1935 the first mechanical operated aerial ladder truck was delivered. 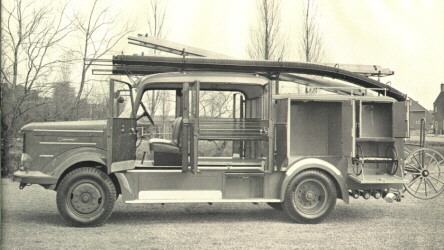 During the 50's and 60's several aerials were delivered to American fire departments, a.o. 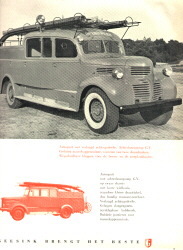 : Cedarburg Wisconsin (1957), Chicago (1958) and Milwaukee Wis. (1961). 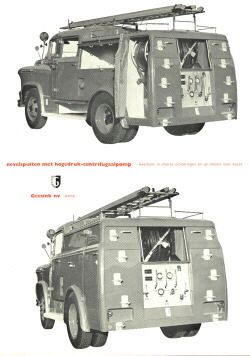 The company stopped manufacturing fire trucks in 1968 and the company concentrated on the manufacturing of carbage collecting trucks, wich is still the core business of Geesink.